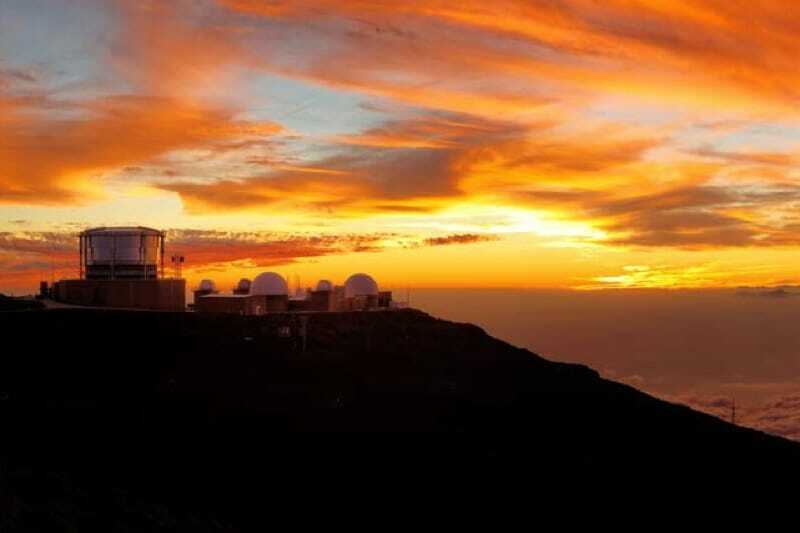 Enjoy a motor coach tour to the top of Haleakala to witness the birth of a new day! Enjoy the sunrise from the top of Mount Haleakala (House of the Sun) and experience the beauty and serenity of this remarkable treasure. A full country club breakfast is included. Set your alarm and get ready to dress warmly as we prepare to make the 38-mile trip up to the summit of the dormant volcano known as Haleakala. The temperature stays around 20 degrees Fahrenheit, but the sight of the sun rising from 10,000 ft above sea level will soon warm you up. Café Ole Full Breakfast located at the Maui Dunes Golf Course in Kahului is included in this adventure to the Haleakala Sunrise Tour. 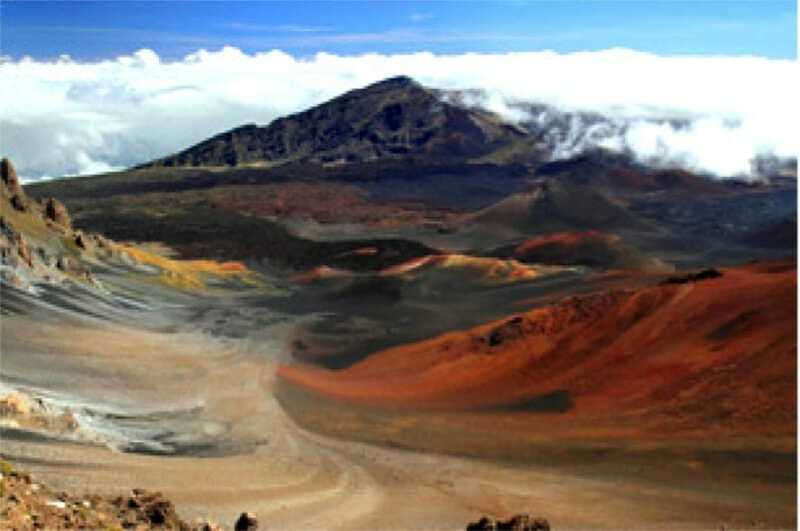 We also provide round trip hotel transportation, admission to Haleakala National Park and expert guide narration. Be sure to ask your guides to relate the story of the Demigod Maui. The sunrise continues to delight our visitors every day. This is truly a once in a lifetime experience that is not to be missed! Enjoy the views out of our large vista view windows as we make the slow descent down to the base of the dormant volcano. After your magnificent adventure, we will provide a complimentary return to your hotel. Complimentary Maui hotel pickup and return included on this 6.5-hour tour! 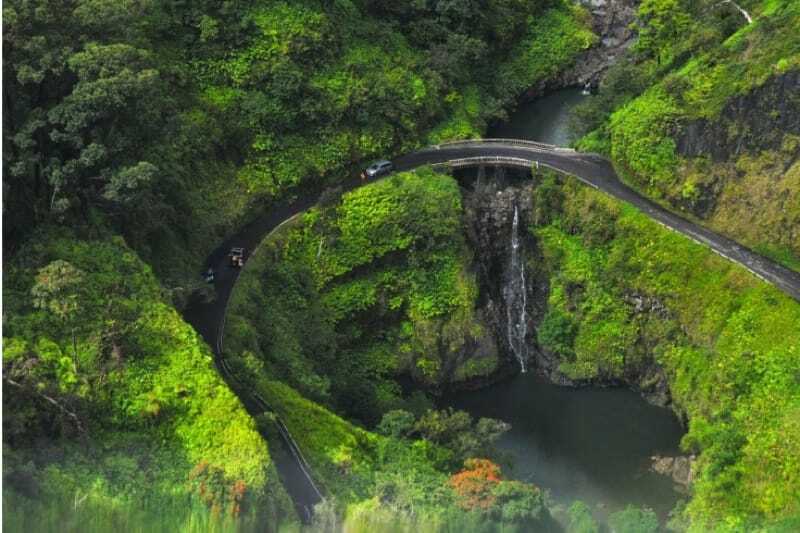 We make the 38-mile driving ascent to the summit of Haleakala, Maui's dormant volcano. Experience the energy of sun rising as you stand 10,023 feet above the sea level. From your vantage point, view the Big Island of Hawaii from Maui! Witness before your eyes the kaleidoscope of changing colors of Haleakala. If this tour is canceled with more than 24 hours notice, the total amount less 10% is refunded. If the tour is canceled without 24 hours notice, full charges apply. No shows incur full charges. Claims for refunds must be made within thirty days of the date of service. We do not guarantee weather will permit viewing sunrise. This tour is operated on rough, winding roads. It is not recommended for pregnant women or those with back or motion problems. This tour operates daily and on all holidays. Went with this tour company to Mount Haleakala to watch the sunrise and highly recommend! No stress about booking and we learned a lot on the way there. We did the sunrise tour with Preston. Pick up at 230a at our hotel. We made a pit stop before heading up. Bathrooms, coffee, snacks. Off we went. When we arrived it was freezing & windy. Nothing to see as it was still dark. We waited. Hung out in the bus to keep warm. Preston had coffee tea and danish available. There were tons of people crowded around the edge of the crater to get the best view. There is a little visitor center with a few souvenirs and some rest rooms. You’re at the mercy of Mother Nature, she does what she wants. The sun eventually came. We saw, we took pics, we hopped on the bus and left. Ok the way down we stopped for some pics. Then we went to a country club for breakfast (pancakes, eggs or fruit). Was average. Then we headed back. We arrived at our hotel around 10a. Preston was awesome. Witty and knowledgeable. Had an amazing tour this morning with Glen. Great, safe driving and incredibly informative and the early start was so worth it. Glen gave us all the best tips on when to leave the bus, (it’s very cold up there), where to stand and where not to and his on board coffee and pastry stand was great. Unknown to us he also took photos of us watching the sunrise and sent them to us, adding a very special memory to what was already a fantastic tour. I feel I know so much more about Maui and its environment. Thank you Glen.